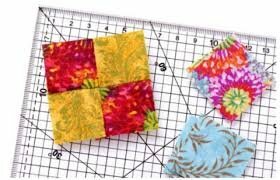 Perfect class for learning the basics of quilt piecing. Nancy will teach some basics of choosing your fabrics, rotary cutting, pressing and sewing a 1/4 inch seam. Basic quilting terms and tools will be covered. At the end of the 5 sessions you will have a completed quilt top. Sign up now as class size is limited.